Brian Hotchkin is a baritone, vocal instructor, stage director and arts administrator who has used his varied experiences to help advance the individual musical goals of students from all levels. In addition to his teaching, Brian maintains an active performing career, noted for his "fine voice, which is strong and effortless through all ranges" and his "unerring, witty sense of theater." He has performed roles with companies including the Virginia Opera, Opera New Jersey, Opera Santa Barbara, Chamber Opera Chicago, and the Aspen Music Festival. His roles include Papageno in The Magic Flute, both Marcello and Schaunard in La bohème, and the title role in The Marriage of Figaro. Brian has also sung professionally with the Chicago Symphony and Grant Park Symphony Choruses. Equally at home in operetta and musical theater, Brian has performed leading roles including KoKo in The Mikado at the Chicago Cultural Center, Bobby in Sondheim’s Company at DePaul University and Merlyn/Pellinore in Camelot at the Brevard Music Center. As a stage director, Brian has helmed recent productions of Adam Guettel’s The Light in the Piazza and Sweeney Todd for Ventura College. 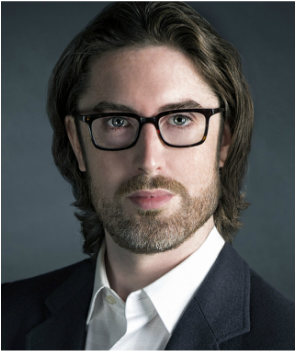 From his years as artistic administrator for Opera Santa Barbara, Brian has broad experience in casting productions, and has used his experience auditioning singers to help his students excel in the audition process. Brian has also served as a teaching artist with the nationally-recognized touring ensemble Opera for the Young. Brian holds degrees from DePaul University (B. Music) and the Chicago College of Performing Arts at Roosevelt University (M. Music) where he was a student of soprano Judith Haddon.